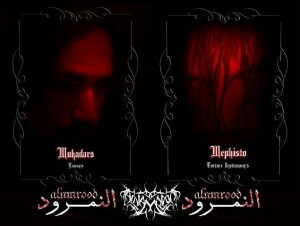 Al-Namrood is a band with a rather uncommon backstory. It’s not very often that an extreme metal band comes out of the Middle East, much less Saudi Arabia. Rarer still is a black metal band from the area, considering Saudi Arabia’s strict emphasis (stricter than most, actually) on sharia law and black metal’s relationship with organized religion. So it might come as something of a surprise that Diaji Al Joor is the band’s fifth album. Novelty aside, Diaji Al Joor is a decent blackened folk album. Of course the main selling point is the addition of Arab folk influences and they are all over the album, particularly in the keys provided by founding member Ostron. Instrumentally, Diaji Al Joor is a solid, interesting album that sports some nice riffs and melodies and at times has a scorching, desert-like atmosphere. Unfortunately, it’s also an album that has its fair share of problems. For starters, there’s the production. I’m sure it’s hard to get a producer who has experience with extreme metal in Saudi Arabia, and from what I understand the band records and produces everything in secret; even the instruments have to be purchased outside of Saudi Arabia and smuggled in. That being said, the production distinctly lacks any form of dynamics, partly because of the drum machine. While adequately programmed (some of the beats are actually really good) they have the same volume throughout the album, effectively suffocating the rest of the music. It’s a shame Diaji Al Joor is never given a chance to breathe, since there are some good ideas. Then there are the vocals. Humbaba, who joined the album on 2014’s Heen Yadhar Al Ghasq, gives a performance that is grating at times. His voice is more of a spoken grunt than anything typically associated with extreme metal and is far too zany and over the top, especially with an album that already suffers from poor production. The laughter on some tracks, particularly “Zamjara Alat,” is especially off-putting. Why the band abandoned the witchy shrieks they used on earlier albums is beyond me, since when Humbaba goes in a more extreme direction the results are much better. This is a difficult album to rate. In my opinion it is just an average album; I think we’ve all heard much better folk-influenced black metal, including non-Western folk metal. It’s not even Al-Namrood’s best. But context matters, and it’s pretty obvious the context in which Diaji Al Joor was made influenced the final product in a negative way. If this band hooked up with a skilled producer and a human drummer the album would have been much better. On the other hand, the fact that such a band even exists is pretty impressive. Very few bands, if any, in Western Europe and the United States are in any danger from the state solely for the content of their music. The amount of artistic courage required to attempt something like this is something most bands, regardless of genre, will never understand. So while they get an A for effort, there are quite a few issues to address or Al Namrood is going to remain a novelty act. 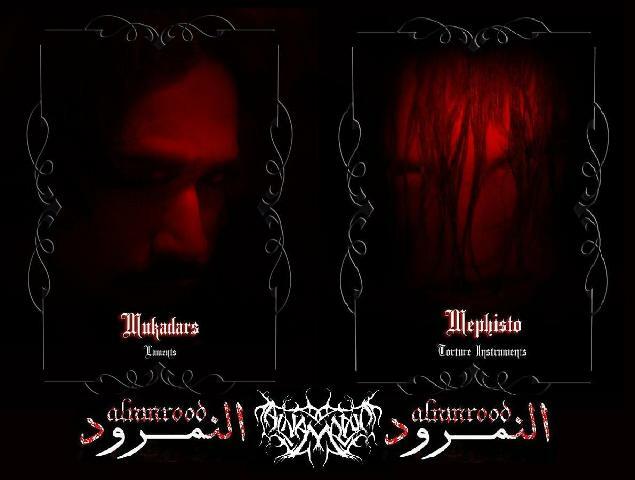 This entry was posted in Reviews and tagged Al Namrood, black metal, Diaji Al Joor, folk metal, Oriental Black Metal, Saudi Arabia, Shaytan Productions.